Patricia Moreno is the trailblazing founder of spiritual fitness, leading a conversation about living a full potential life and the importance of each and every one of us making a vow to wake up and be a positive and effective part of the raising of the consciousness of the planet. Before anyone was saying affirmations on a spin bike, Patricia Moreno was pairing mindfulness with physicality with intenSati, her signature movement method that has been packing classes and changing lives for over 15 years. Though Patricia has severed herself from her past as a fitness icon with gratitude and is stepping up in new big ways, this embodiment of positive states through movement is still an integral part of her work. In an effort to give everyone access to unlocking their highest potential, she created a year-long digital program that geniously combines a powerful guided morning practice with unwavering daily accountability and consistency called Sati365. In just two years, the program has seen astounding results by simply empowering members to envision, embody and actualize their perfect day, every single day. 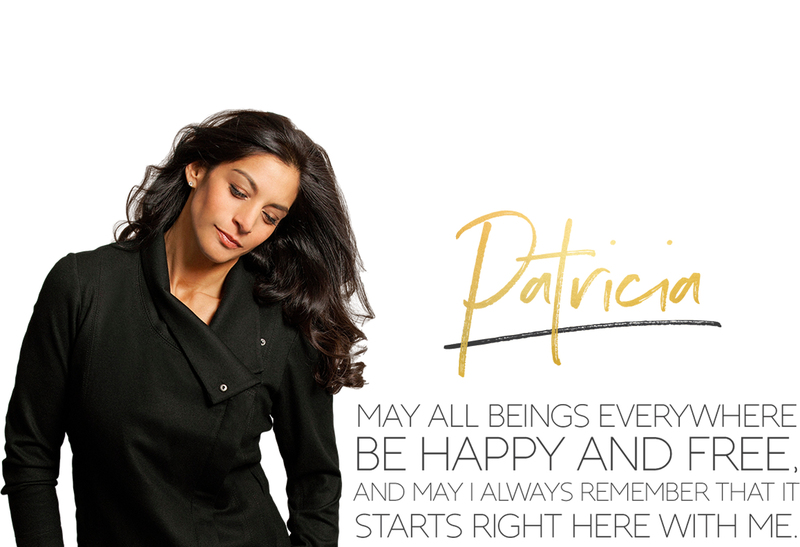 Patricia is an international speaker and presenter, inspiring worldwide at Google, Equinox, Nike, Reebok, The Limited, and The Miracle Morning among other notable organizations. She has been featured in publications such as Oprah Magazine, Vogue, Shape, Glamour, Well + Good, and on the Today Show, Good Morning America and Dr. Oz.